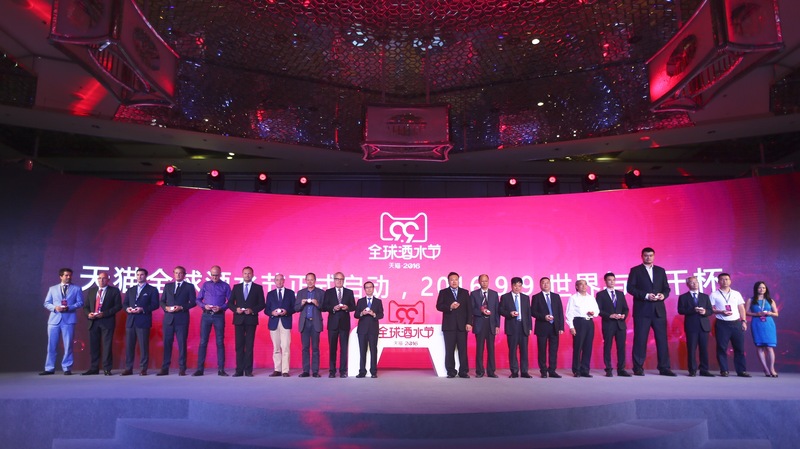 Shanghai, August 31 - Alibaba Group (NYSE:BABA) announced yesterday at a press conference that it will be hosting an inaugural “Tmall 9.9 Global Wine & Spirits Festival” (pronounced “Jiu Jiu” in Chinese, which are homonyms for both “wine” and the number “nine”) on September 9th to celebrate the increasing popularity of imported wines and spirits among Chinese consumers, especially the younger generation. Over 100,000 types of international wine and spirits from more than 50 countries, including Italy, France, Spain, United States, Australia and New Zealand will be participating. With globalization as a key theme of the festival, Alibaba's Tmall.com and Tmall Global marketplaces have been working closely with governments and trade associations such as Wine Australia and New Zealand Wine, to provide the channels necessary to bring high-quality wines and spirits from around the world to the hands of Chinese consumers. As a result, hundreds of award-winning labels will be debuting in China through Tmall during this festival, including wines from 35 countries. In addition, internationally renowned labels will also be participating, such as Lafite from France, Robert Mondavi Winery and Gallo Family Vineyards from the United States, and Suntory Yamazaki Distillery from Japan. According to the “Global Wines and Spirits Consumption Report” released jointly by Tmall and CBNData, 47 percent of wine consumers in China have purchased imported red wines online. From 2013 to 2015, Alibaba's Tmall platform saw a 5 times increase in the number of active buyers in the wines and spirits category, reaching more than 10 million consumers. The report also showed increasing popularity of imported wines and spirits among the twentysomething age group, as well as in non-tier one cities. To create more opportunities for brands to directly market to and engage with consumers, Tmall will also be launching a series of innovative marketing campaigns starting September 1st, such as live auctions of rare and limited labels. A hundred global wine experts, including Jean-Luc Thunevin, wine revolutionary famous for his modern approach to winemaking and founder of Château Valandraud, as well as James Suckling, renowned American wine critic and former European Bureau Chief of Wine Spectator will also be sharing and live broadcasting their insights and tasting tips through the Tmall and Taobao apps for Chinese consumers. Leveraging the strength of Alibaba's data analytics capabilities, the Tmall 9.9 Global Wine and Spirits Festival mobile site on the Tmall and Taobao apps will also provide personalized selection and choices for app users. The Tmall 9.9 Global Wines and Spirits Festival is not only an online event, close to 5,000 bars and pubs across China will also be participating, offering free tastings and distribution services for consumers in the country.